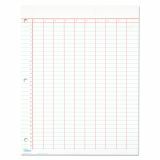 TOPS Data Pad w/Numbered Column Headings, 11 x 8 1/2, White, 50 Sheets - Use column data pad in portrait format to use or tabulate data. High-quality, 20 lb. bond paper features precise rulings printed with nonsmear inks. 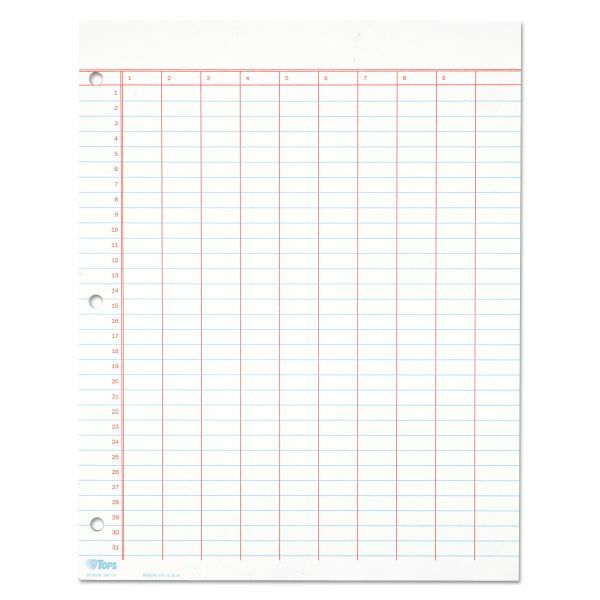 Each heavyweight sheet features columns for organized data recording. Glue binding construction allows clean and easy sheet removal. 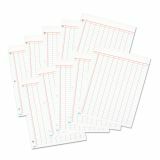 The three-hole punched pad inserts easily into a binder or notebook. 27 point chipboard backer offers writing support. Pad contains 50 sheets.